Zanzibar, also known as the Spice Islands, is the original tropical paradise. Golden beaches are flanked by palm trees aside the Indian Ocean. The islands lie just off the coast of East Africa. While Zanzibar is a place to relax on the beach, it also has a wide range of attractions, from the historic streets and alleyways of Stone Town, to boat trips to see dolphins or turtles, to the Jazani Forest, noted for its monkeys. Diving among the coral reefs is also an exciting possibility. Zanzibar lies off the coast of mainland Tanzania which offers the possibility of combining your visit with a wildlife safari to the Serengeti National Park or a visit to Mount Kilimanjaro. Zanzibar consists of two main islands, Unguja and Pemba, and scores of smaller islands. The main island of Unguja (or Zanzibar) is a 20 minute flight from Dar es Salaam and can also be reached by air from Addis Ababa, Nairobi, Doha and Dubai among others. There are also ferries from Dar es Salaam, the quickest taking 75 minutes. Contact a local tour guide: boris.bols@yahoo.com phone +255772871073. He speaks English, German and Italian. 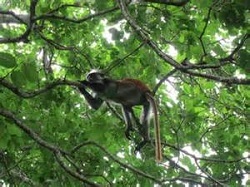 Jozani Forest National Park, home to the rare Red Colobus Monkey. An hour by car from Stone Town you will be shown a variety of animals and plant life in areas including mahogany forest to mangroves. Prison Island: This small island had been used by a wealthy Arab to house his slaves. The British built a prison here, but it was never used as such. Instead it was used to quarantine passengers of ships in which there may have been an outbreak of an infectious disease. Prison Island is now home to a colony of turtles. 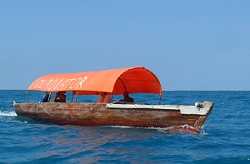 Prison Island is reached in 20 minutes by dhow from Stone Town. 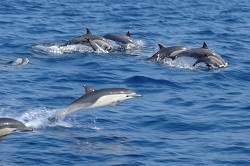 Kizimkazi, an hour from Stone Town, is our base for a two hour trip by dhow searching for bottle nosed and spinner dolphins. 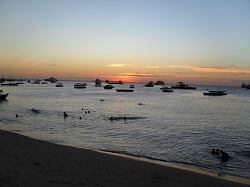 There are snorkeling and fishing opportunities on boat trips. The dhows are built on the northern part of Unguja Island, where you can see them being made and also visit the Sea Turtle Sanctuary where injured turtles recuperate ready to be released back into the wild. 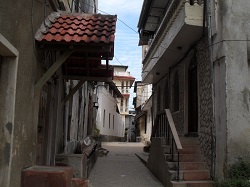 There are also walking tours around Stone Town including the Spice Tour and the Freddie Mercury Tour (the Queen vocalist was born and lived in Zanzibar).